Bogota Senatus: The visit by the Senatus Officers to Dublin last September was very fruitful; already they are putting many suggestions into practice. Three new Regiae have been set up in the Senatus area, leaving the council free to attend to other business, in particular the Curiae. They are strengthening existing praesidia and recruiting; two new praesidia have been set up. Reports indicate solid work being done, particularly in the apostolate of home visitation. The Regia of Bucaramanga is setting up a new Comitium. Medellin Senatus: The correspondent has asked the council if they need help. Senatus of Quito: The Comitium of Guayaquil promotes marriage. They also reported the conversion of an Evangelist and a return to the Sacraments after a near-death experience. Most councils are up to date in their correspondence and working well. A praesidium reported helping the poor and the handicapped. Senatus of Montevideo: The Senatus correspondents meet every 2 months. In the town of Piedras in the Diocese of Canelones, they expect the arrival of 15 Argentinian legionaries from the Regia of Rosario on a PPC Project, and hope many local legionaries will join in. Five monthly get-togethers with the theme “Vocation and the Legion” have occurred using the Patrician methodology of discussion. The Archdiocese invited the Legion to mount a stand at a special event and as a result one person declared an interest in joining the Legion. Senatus of Caracas: Once again, the legionaries ask for prayers due to the political crisis in their country; many young people have died in the disturbances. The Legion arranged a Day of Prayer on 5th July, the country’s Independence Day. In April, the Minutes reported 10 new praesidia, many of them juvenile, and a great growth in membership, both active and auxiliary. They also report home visitation, and jail visitation, Exploratio Dominicalis projects and Columban Drives. Senatus of Santiago: The second National Legion Congress is being held in the Temuco Regia area. Most councils of Chile will send representatives. Great importance is laid on the participation of all legionaries in the sessions. The former Senatus President has been named a Tribune. Many Permanent Deacons in Chile are legionaries and act as Legion Spiritual Directors. The ‘Basic Communities’ movement is helped by the Legion to reach out to all souls in the immense parishes; this is done through home visitation as well as preparing people for reception of the Sacraments. Many legionaries are very active on the local Radio stations preparing and presenting Catholic programmes. Senatus of La Paz: The Regia of Santa Cruz invites every praesidium to do an Exploratio Dominicalis project at least once a year. In the Regia area there is a youth praesidium which is very active, and a praesidium of six-year-old children who enjoy the full weekly agenda. Most of the legionaries use parish processions as a means of bringing souls nearer to the Church. As a procession passes homes, the legionaries invite families to come out and join in the prayers and in the singing of hymns. Senatus of Lima: Four Comitia, 6 Curiae and 2 praesidia reported. The six reporting Curiae each have between 11 and 14 praesidia. One Curia grew from 7 to 12 praesidia in a short period of time as a result of an effort to extend and recruit. A number of reports indicate that the junior movement is growing. Auckland Senatus: The Legion is involved in all the parish activities in celebrating the 100th Anniversary of the apparition of Fatima. Extension is on-going to 8 parishes currently without the Legion. Attendance at a school lunch-time Rosary has increased with teachers and students attending. Two families returned to practice after a long lapse. St. Auckland Curia has 2 young adult praesidia. Wellington Comitium continues to extend and recruit. The Filipino praesidium has16 members. Melbourne Senatus: Flemington Vietnamese Comitium has 3 Curia and 32 praesidia. Albury and Wodonga Comitium has 83 members and has set up two new praesida. An African refugee family with 8 children who used to be Jehovah Witnesses were all instructed and received the Sacraments. A successful two-day Summer School was held. Retreats, Acies ceremony, Patricians, Fatima statue apostolate, and extension work were reported. In Noumea Comitium two families in conflict were reconciled. A Retreat had an attendance of 178. Sydney Senatus: The recitation of the Rosary at parish level is organised with great success. Pilgrim statues are circulated in many parishes. Weekly talks for candidates seeking to become Catholics are organised. Five people completed the RCIA course and received the Sacrament of Baptism. The Vietnamese Curia teaches catechism, and encourages the lapsed to return to the faith. East Timor (Democratic Republic of Timor-Leste) has 2 Curiae, one with 6 praesidia and the other with 4 praesidia. Solomon Islands Comitium has strong membership. Brisbane Comitium: Two Vietnamese praesidia have membership of 24 and 14 working mainly among their own communities contacting the lapsed, bereaved and asylum seekers. Public Rosaries were reported, with one praesidium reciting the Rosary on 13th of each month. The Fatima DVD was shown to auxiliaries and the Sacred Heart Sodality has re-started in one parish. A picture of the Sacred Heart was given to each person doing the RCIA course. Mindanao Senatus: The Bi-Annual Conference was described as most fruitful and interesting. A Regia has formed a new Comitium but still has 15 Curiae attached. The correspondent has advised that a further Comitium to be formed. Regular conversions of Muslims to the Catholic faith are taking place. Legionaries visit a maternity ward, arrange Baptism for children and afterwards keep in touch with the parents. Bicolandia Senatus: Catechism is taught to 600 pupils in the Elementary School and to 500 students in a Secondary School. On jail visitation prayer is encouraged. New praesidia have been set up. Stall holders are visited and encouraged to pray before opening for business. A Comitium reported 7 Curiae, 5 directly attached praesidia, 275 active, 394 auxiliary, 109 Adjutorian, 80 Praetorian and 32 junior members. Another Comitium facilitated 900 to go to Confession and attend Mass. Six adults were prepared for Baptism. Senatus of Northern Philippines: San Fernando Comitium covers 92 parishes of which 48 are without the Legion. They catechised 2,487 inmates in a prison. Makati Comitium contacted over 8,000 people in shopping malls, parks, and on streets. A weekly Bible study is conducted in a bar and on first Fridays/Saturdays. Kalookan West Comitium reported visitation to 1,464 families resulting in 64 children and adults receiving Baptism, 484 brought to Confession and 4 conversions to the Catholic faith. A man with cirrhosis of the liver claims he had a tumour shrunk through the intercession of the Servant of God Frank Duff. Medical records have been forwarded. Western Visayas Comitium through home visitation had 56 marriages validated, and children and adults baptised. A Muslim couple were married in Church. Jail apostolate, and block Rosaries were conducted, and a 69-year-old was reconciled to the Church after 38 years lapsed. Southern Iloilo Comitium: After many years of refusal, two sick people were reconciled to the Church before they died. Exploratio Dominicalis projects were conducted. Antique Comitium helped a couple living together for 27 years to be baptised, confirmed and married in Church. Dromore Comitium: Rostrevor praesidium has 5 members who undertake home and nursing home visitation and promote the Pioneers. They held an Annual Retreat. The Comitium held a Day of Prayer for Vocations in St. Coleman’s College in April. A Mass to pray for the cause of Venerable Edel Quinn was held in the Dominican Adoration Chapel. Senior and junior members attended another Mass in Burren for the same cause, and the junior Pioneer Pledge was taken by 58 children. Derry Comitium: Pennyburn praesidium visited homes throughout the parish, a centre for adults with learning difficulties and a sheltered housing scheme. Mater Dei Curia has 11 praesidia in counties Donegal and Tyrone. The 5 reporting praesidia have a total 22 members and 154 auxiliaries. Works include home and nursing home visitation, plus Rosary Crusade. One praesidium promotes the Rosary among children in the local schools. Raphoe Comitium hosted a Congress with the theme ‘The Holy Family’ on Sunday 14th May in Stranorlar Parish Centre. There were about 60 legionaries present with Fr. Rory Brady as Spiritual Director and two representatives from Concilium. Participation was excellent. Stanorlar junior praesidium has 7 members aged from 6 to 14, plus 2 seniors. Carrigart praesidium has 6 members and 2 probationers. They visit each child preparing to make First Holy Communion and leave a statue of Our Lady and a child’s Bible with the family for one week; they then call back leaving a Miraculous Medal and a Rosary beads with a leaflet on how to say the Rosary with each family. South West Raphoe Curia: Ardaghey praesidium has 5 members who visit nursing homes and hospitals. Leitrim Curia: Four praesidia reports were presented with a total of 15 members and 52 auxiliaries. Works include Pilgrim statue visitation, Rosary in a local Convent school with 20 students, plus home and nursing home visitation. At the May Curia meeting at which the Concilium Correspondent was present, young legionaries in a praesidium for 18 to 40 year-olds read a paper on a recent pilot study of Theology of the Body for teenagers. Clogher Curia: Three praesidia reported. One praesidium visits homes annually. Members of another one of these praesidia were actively involved in the Parish Mission. The Pilgrimage to Knock Shrine was organised in conjunction with St. Joseph’s Young Priests Society. Kilmore Curia: The Correspondent visited the May Curia meeting. A report was received from Coothill praesidium members visit the sick and elderly as often as possible. Clonmacnoise Curia: There are 3 praesidia attached with a total of 24 members. Works include home and nursing home visitation. The DVD of Our Lady of Fatima was shown to the children in a National School from 3rd class upwards. Catholic religious magazines were brought to the local Community College and Moate Business College by Mount Temple legionaries. The literature is to be placed in the respective libraries. Armagh Curia: (Archdiocese of Armagh). The praesidium in Armagh has 8 members, including 3 probationers. They regularly recite the Rosary with residents in Care Homes, lead a public Rosary in the cemetery on the Sundays of November and in a housing estate weekly during May and October. The Curia had an extension weekend at Coalisland; 12 prospective members attended the information meeting and 7 confirmed their intention of turning up for the first meeting of the new praesidium which was set for the following Monday evening. Droghed Curia: A reporting praesidium has 9 members and 20 auxiliaries. 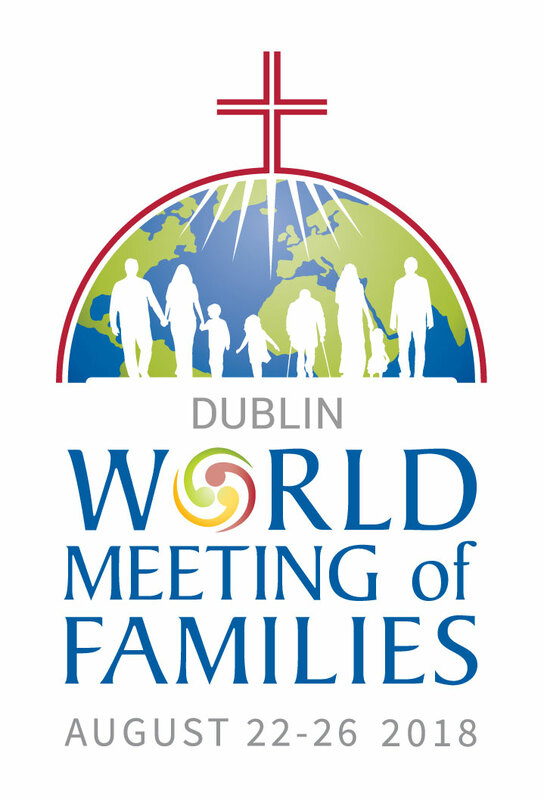 They visit 2 hospitals and a Day Care Centre weekly and take a religious pack to the homes of newly baptised babies and offer to leave the Fatima statue with each family for one week. There was an exciting report on the book barrow in Scotch Hall Shopping Centre on Saturday 8th April. The Curia Retreat on 30th April received very favourable comment. A period of preparation for the Total Consecration to Jesus through Mary started on 28th April and Mass for Total Consecration was celebrated in the Dominican Church on 31st May. Dundalk Curia: Audit of House and Curia accounts have been completed covering the period October 2014 to May 2017. A copy has been sent to the Correspondent. The praesidium in Muirhevnamore has reformed with 4 members. 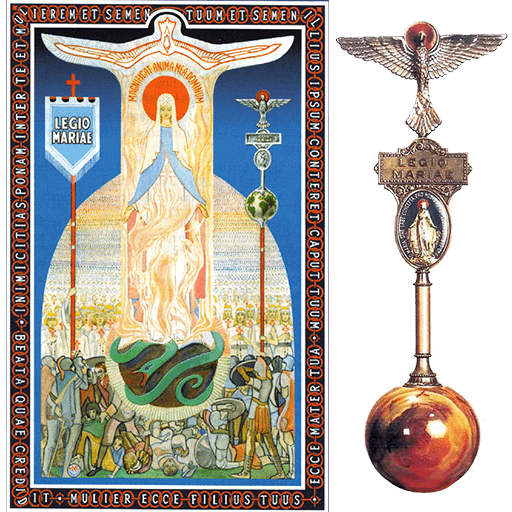 Our Lady of Fatima praesidium has 5 members and 39 auxiliaries. At least one pair undertakes home visitation weekly and 2 statues of Our Lady are left in homes which agree to accept them and 10 homes have done so to date. This parish will host a Maria et Patria project in September. Annunciata Curia: (Diocese of Down and Conor). Members get a friendly response to Miraculous Medal apostolate from taxi operators and police officers at a central Belfast location. Other members started an apostolate at shopping centres, with many favourable contacts. Members of a praesidium of 9 are well received by the Travelling Community. A curate in Twinbrooke is keen to help revive a praesidium which closed some time ago. Down Curia has agreed to become part of the new Down and Connor Comitium which will be launched on a date close to the Feast of Our Lady’s birthday, 9th September and the Bishop has appointed Fr. Martin Graham as Spiritual Director of the new body. Down Curia: Works of the praesidium in Saintfield parish include visitation of residential homes, spending time in prayer with parishioners and distribution of Rosary beads and Miraculous Medals in schools. Veneranda Curia: A praesidium working in one parish has 50 verified auxiliary members. Included in their works are distribution of Miraculous Medals, and home visitation, where auxiliary membership is promoted. Legion literature is displayed in the parish bookshop; they also organise a monthly Mass in the senior citizens complex. A praesidium of 5 members including 2 Praetorians, works in two parishes. In the course of home visitation they met a man who was concerned that his 7 year old son wasn’t baptised. The legionaries arranged for the priest to call. The praesidium organises a very popular library with 150 religious books and 100 DVDs on show. A new junior praesidium has started in another parish. Bethlehem Curia: 23 Patricians and 4 legionaries attended two Patrician meetings. One praesidium reported having 14 visitors to their meeting in the past year. During street contact at the G.P.O. a man from Bangladesh chatted with the legionaries for a long time and put his name down for the RCIA course. Another praesidium visits all the homes in their area twice during the year. Venerable Edel Quinn was once a member of this praesidium and they now organise the Edel Quinn Promoters meeting four times a year. Exaltata Curia: A praesidium with 6 members visits all of the 5,000 homes in its parish over a three- year period. The members also visit a hospital. A patient from Kosovo remembered the faith of his grandparents and asked the legionaries for instruction. He was baptised in February 2017. In June 13 members from the Curia visited another parish with the aim of restarting a praesidium in that area. Presentata Curia: A praesidium of 5 members does home visitation in its parish. Parishioners are encouraged to return to the Sacraments and to have their homes blessed. So far this year 54 house blessings have been carried out and many more are scheduled for the coming months. Some members also help in the Morning Star Hostel and one helps with the men’s shed in the hostel. A praesidium of 6 members working in the Regina Coeli Hostel organises a weekly Holy Hour and encourages residents to attend. During the year the praesidium witnessed 3 weddings and one funeral. The members do various duties in the hostel and provide a listening ear to residents who are in distress. Porta Coeli Curia: A praesidium in one parish has 30 auxiliary members. They do home visitation, visit a nursing home and participate in the Harbour apostolate. Consolata Curia: Following a recruiting drive, 3 people attended the first meeting. A praesidium showed a DVD on the Miraculous Medal to Confirmation classes in five schools; a statue of Our Lady of Fatima was left for one week in the First Communion classes of these schools. The children were very interested in the Fatima story. 160 people attended the candlelight procession in honour of Our Lady in October organised by another praesidium. They also organised a Faith and Fun project for children, a monthly Patrician meeting and a monthly prayer meeting to promote the Cause of Frank Duff. Accra Senatus: The Senatus held a Spiritual Directors’ Conference, which received coverage on national television. Kumasi Regia organised a Legion week with the theme ‘Promotion of Peace and Justice in the New Evangelisation’ where a series of talks were given; the average daily attendance was seventy- eight. Tema Comitium held a four-day junior Conference; 40 juniors camped at the venue and various talks and activities were organised with the aim to improve their knowledge of the Catholic faith. Two new praesidia were established and a University praesidium was revived. Luanda Senatus: The Senatus and will be seeking to develop the Legion in the interior of the country. They are already carrying out visits to different Dioceses. 114 legionaries took part in an apostolic project to Cabinda 12 – 15 January. In November, a meeting was held with the animators of the Holy Childhood Association. On 25 February, the Archbishop of Luanda, Most Reverend Dom Filemeno do Nascimentos Vieira Dias, had a meeting with Legion Spiritual Directors, including priests and religious sisters, who were very grateful for the words of encouragement from the Archbishop. Benguela Senatus: Huambo Regia has 17,204 senior active members. Catechetical formation resulted in 2,447 catechumens receiving Baptism, 502 receiving First Holy Communion, 337 confirmed and 373 co-habiting couples getting married. Retreats were held during Lent and Advent. Visits were made to prisoners. Moral and spiritual support was given to physically handicapped and the elderly. Cleaning was done in hospitals. There is a tradition to have as many legionaries as possible at the first or last Senatus meeting of the year to hear a message from the Pastor of the Diocese. The Bishop Emeritus attended the January meeting, at which 1,031 legionaries were present. 860 were present at the December meeting. Harare Curia: New officers were elected. The Curia is working well. Hwange Comitium: Among the works undertaken are prison visitation and street contact and they report a very active junior movement. A number of Congresses were organised. The Cause of Frank Duff is widely promoted. Lesotho Senatus: A mother and 6 children were received into the Church with the encouragement of legionaries. Two praesidia reported visiting prisons. Johannesburg Senatus: One praesidium has 10 members with 137 auxiliaries. Works reported include visiting 221 Catholic homes and 51 non-Catholic homes and prayed the Rosary and the Divine Mercy Chaplet with families. Durban Comitium: One new praesidium was established. Matatiele Comitium: His Lordship, Bishop Mpanbani S.C.I. of Kokstad Diocese visited the Concilium Office in June and had great praise for the legionaries in Matatiele Comitium. Mariannhill Comitium: A letter has been received giving the good news that a priest who is very interested in the Legion is giving great encouragement to the legionaries and several new praesidia have been set up. New Officers have been elected. Cape Town Senatus. The Offices are looking forward to their visit to the Concilium in October. Cape Verde Regia: Members from the praesidium in Amiens, France, a praesidium set up by Cape Verde members in Holland, attended the June meeting. The Regia is most grateful to the Sao Paulo Senatus in Brazil for supplying them with Handbooks and the Senatus journal. The Regia’s visit to Ulne Bissau on mainland Africa was warmly appreciated with the Curia celebrating its Golden Jubilee. Apostolic work focusses on promoting the Sacraments and catechesis, with special emphasis on recruiting children to do this work. Llha Brava, one of the smallest of the 8 islands has a Curia with 4 praesidia. Another Curia reported efforts to get parishioners involved in parish organisations. The Regia plans to visit a weak Comitium. A Curia in a distant island includes in its work the Way of the Cross for children and adults. The main island of Santiago has a Comitium with 110 legionary catechists.